as you realize all the different layers to the onion that you're peeling back." 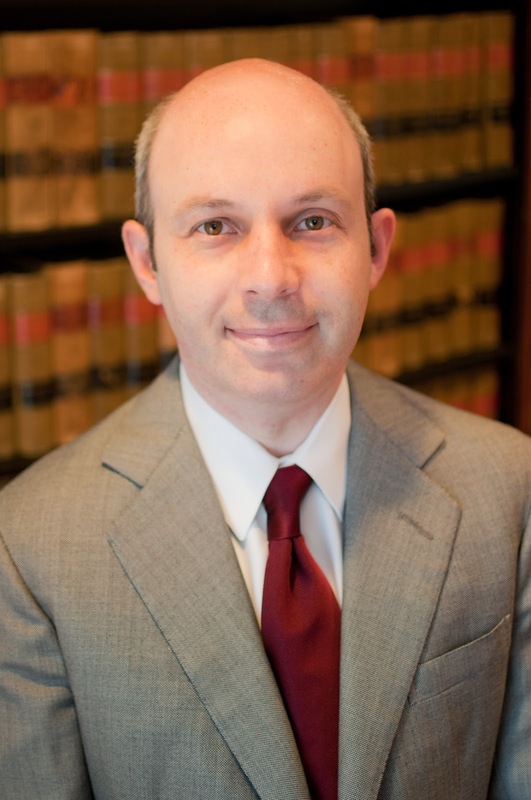 In GWorks Interviews: Tom Goldstein, Thomas C. Goldstein discusses his start in law practice, the creation of SCOTUSblog, the challenges of covering the Supreme Court and understanding the Court through media and this Term's decision in the health care case. Mr Goldstein is a founding partner of Goldstein & Russell, a Washington, DC law firm that focuses on Supreme Court litigation. He is also Publisher of SCOTUSblog, the Web site he founded with Amy Howe, Mr Goldstein's wife, law partner and SCOTUSblog Editor. Part One: That Guy With the Web Site Becoming a Supreme Court litigator. Part Two: SCOTUSblog, Without Papers Founding SCOTUSbog, a Web site dedicated to the Supreme Court of the United States, the site's evolution and the challenge of covering the Court without a press pass. Part Three: Courting Media Media coverage of the Supreme Court and what the Court does and might do in a changing media environment. Part Four: To Your Health The Supreme Court decision in the last Term's health care case (NFIB v. Sebelius)—understanding the Court through a case. Part Five: Airing|Erring How media (mis)understood the health care decision. Part Six: Limits Whether the Supreme Court's last Term is a sign of a new willingness to limit Federal Power, what role will the Court play in the coming election and how can we best understand the Court. GOVERNINGWorks (GWorks) [00:00:32:04] How would you describe your law practice? Tom Goldstein (TG) [00:00:37:04] Our focus is almost exclusively on Supreme Court litigation. We represent the parties in about one out of every ten Supreme Court cases through either the law firm or the clinics that we have at the law schools. And so we do arguments on the merits and lots of Cert petitions [petitions for a Writ of Certiorari], briefs in opposition, Amicus briefs. We’re just very focused on that one place. GWorks [00:00:53:25] How did the relationships with Stanford and Harvard come about? I had actually gotten my best experience as a law student as an unpaid Intern for [National Public Radio legal affairs correspondent] Nina Totenberg. And that’s how I got interested in Supreme Court work. And I thought law students would have a similar reaction. I also thought that, as someone who had gone to American University’s law school [Washington College of Law], rather than one of the nation’s elite law schools, and it was a fantastic school for me, I really thought that this was work that law students could do, if they were committed to it and had the time to do it and had the right supervision. It’s not something that only someone who clerked for the Supreme Court and worked in the Solicitor General’s office could do. GWorks [00:01:44:10] The clinics are at elite universities? TG [00:01:49:11] They are at elite universities. They’re great opportunities for us to work with really talented law students and they’ve...having the affiliation with the law schools has been tremendous for the law practice, too. So, we definitely try to get as...the...a really talented group of people involved in the cases. But, I think we could do the clinics at other law schools, as well. And there are clinics at Texas [University of Texas at Austin School of Law] and UVA [University of Virginia School of Law] and Northwestern [Northwestern University School of Law], in addition to Yale [Yale Law School]. And so, a lot of schools have recognized the value of these sorts of programs. GWorks [00:04:59:05] Would you describe the commitment required of a student and a law school? The law students at Stanford and Harvard really are completely committed to the effort. The great thing about those programs is, when they’re running, the law students work on the cases essentially full time. They’re not part of a broader curriculum in that semester—or that quarter at Stanford. They have almost no other to no other classes at all. So, at Stanford, if you’re not an ‘advanced student,’ i.e., you’re not doing it for the second time, you’re really not going to have any other course work other than your work on the Clinic. And at Harvard, we do it in the Winter Term, which is a three-week program. And the students actually move to Washington, DC, to work with us in our offices on the cases. So, I think that’s really important to have that complete and utter devotion to the cases so that you can really kind of absorb yourself in them. The commitment from the law schools is tremendous, to allow the students to spend that much time on the work. And it’s also not cheap because, for Harvard, they move to Washington; for Stanford they go frequently to visit the clients, they come to Washington to see oral arguments and meet people. So, it’s an expensive program for the schools. GWorks [00:06:50:06] What makes a successful Supreme Court litigator? TG [00:06:57:06] I think that, to do this job well, you’ve got to have some good writing skills; you’ve got to have really solid analytical skills; and you’ve just got to be able to separate yourself from a lot of the facts and emotions in the cases. You really have to believe and advocate for your client for sure. But, it’s very different from being a trial lawyer. The Supreme Court in particular, the courts of appeals, generally are going to be concerned about getting the law right rather than producing justice in an individual case. Litigating at the Supreme Court at a high level also involves a lot of understanding that group of nine people and what it is they’re trying to do at different stages, whether they’re agreeing to hear cases, when they’re deciding cases on the merits; understanding the value of the briefing versus the oral argument, the different roles that those play. As I’ve been doing this now for 15 years, almost entirely that that’s been my overwhelming focus, it gets actually more and more complicated, not simpler and simpler, as you realize all the different layers to the onion that you’re peeling back. GWorks [00:07:52:17] Did you come out of law school saying, ‘I am going to be a Supreme Court litigator’? I had...as...having been Nina Totenberg’s Intern at NPR kind of fallen in love with the Supreme Court. I clerked for a year for...here in DC and then went to a big law firm, Jones Day, which was tremendous for me and had an appellate practice and had an appellate practice and a Supreme Court practice and I got introduced to the actual legal practice there. And then I went to a firm called Boies Schiller [& Flexner, LLP] for a couple of years, which was just starting out, and they let me do some of this work. But, by the time I got to my fourth year in practice, I just went out on my own and decided, ‘I’m going to try to accomplish this myself.’ And so, ever since 1998, 1999, I’ve been doing this almost exclusively. We just view the blog as a public service. It doesn’t have an agenda. It’s not trying to impress any particular set of people anymore. It’s not a business development tool for the law firm. who are becoming interested in the blog. GOVERNINGWorks (GWorks) [00:09:17:27] How did SCOTUSblog develop? Turns out to be totally untrue. It is not an effective business development tool in that kind of direct way. It is in other...there are other ways that blogging in other kinds of practices can be, if you wanted to be practitioner in a particular Court of Appeals or state Supreme Court or if you wanted to do a particular kind of immigration or patent work, you could develop a kind of expertise that your would express through blogging think really could get you business. But, in Supreme Court litigation, there are so many people who have such well developed reputations. When you talk about Paul Clement and Carter Phillips and Seth Waxman and Maureen Mahoney and other folks like that, people tend not to say, ‘I want the guy with the Web site.’ Right. That’s not what they’re making their decisions on. It’s certainly the case that we’ve become best known for the blog. As the blog has evolved, within about four or five of the ten years, it really turned into a journalistic effort. And then all of the things that we were doing to try to advertise the law firm all were cast aside and it went in the opposite direction because we really needed our readers to view us objectively and have them not believe that we were trying to kind of show off ourselves or highlight our own cases or clients. And, we became sufficiently influential with respect to the Court itself that we didn’t want the Justices and their law clerks to believe that we were trying to influence them in our cases. So, we now have these policies that, where I predict cases that will be granted, we always exclude our own cases. We don’t write about own cases. We get other people to write about them for us. We used to highlight briefs that we had filed. We never do that anymore. Where people of ours would get clerkships. All kinds of things to try and draw attention to ourselves. That’s all now actually forbidden in the blog so that we can retain its journalistic objectivity. It generally works pretty well because the blog doesn’t do a huge amount of commentary. It’s not, ‘This Supreme Court case was the greatest or the most horrible.’ It’s describing what happened rather than evaluating what happened. So, we don’t find ourselves in a lot of dilemmas of not wanting to criticize the Court or things like that. And if we do want to criticize the Court, then we just do it. Although a lot of times we think the Court does great, great work and we sometimes say that, too. And our commentary is generally done by third parties. We have these symposia, for example, on all the major subject matters, health care, Arizona immigration, coming next Term, the Kiobel case on corporate human rights violations, gay marriage, the Voting Rights Act...and hopefully the Court is able to distinguish whatever those people say on the blog from whatever we might say as lawyers. GWorks [00:09:17:27] Would you describe SCOTUSblog as evolving? TG [00:09:24:27] It has been an extraordinary evolution for the blog, particularly as the amount of reliance and respect for the blog has grown. When the blog started, in the early days of blogging, blogs we really regarded as sort or odd-ball things. And now, you see a fair amount of respect for blogs that really show over the course of several years a level expertise and balance. They get cited a lot in traditional media. We get, you know, a lot people say...very nice and kind things about us and rely on us. I’m not sure what the next major development for the blog is. For the past couple of years the structure of the blog has been the same. That is, we adapted to the fact that people were relying on the blog essentially for two different kinds of things. One was, you know, daily updates on what’s going on, reports on oral arguments. And another was an archival research feature where they could get all of the briefs and could study the cases. And so we adapted the underlying architecture of the blog to accommodate that. We have case pages for all of the cases now. There’s not...and so I could see the path to this point. I haven’t, in my thinking about the design of the blog, imagined the next big thing. I suppose it’s likely to be multi-media related. To try to take advantage of the broadening bandwidth, the broader kinds of content that are there. The big project for the blog for the past couple of years has been improving the substance of what it is that we write. Principally by getting better and better people to write. For years and years, we had the incredible good fortune that we had our students at Harvard and Stanford available to write analyses of the case. And that’s...they worked really hard at it and they did as well as students possibly could. But now we’re in a position where we have really leading experts in the field doing the writing because of the prominence of the blog. And so now, you know, the Harvard Law Review, which has 2000 subscribers, we have, you know, 50,000 people on our slowest day who are committed to taking the content of the blog and…you know...on the health care day, we had two million unique readers and I think that a lot of people who are potential authors kind of recognize the blog now and we just...we’re very lucky in the kinds of people that we’re able to get to write for us. GWorks [00:09:17:27] Who is SCOTUSblog’s audience? TG [00:09:24:27] Well, we don’t really have a target audience as such. And that is, we don’t have a vision for the kind of person that we’re trying to reach. We recognize that, for a long time, the principal people who were reading us were lawyers. Kind of, those are the folks who are most naturally fascinated in or have a utility for what going into and coming out of the Supreme Court. The...but, we’ve also recognized that, as the readership of the blog has grown, we have a lot of people who have, you know, a high school education. And so, we’ve built out, for example, this ‘Plain English’ feature, where we’ll take all of the major decisions and write them up at length in rhetoric that, you know, a normal person can understand without a lot of the legal jargon. And, in all of our write-ups, we have a Plain English description at the end. So, we’re trying to accommodate the broadening readership of the blog. And, we just view the blog as a public service. It doesn’t have an agenda. It’s not trying to impress any particular set of people anymore. It’s not a business development tool for the law firm. And we just try and accommodate the kids of folks who are becoming interested in the blog. GWorks [00:09:17:27] Would you discuss the concern about SCOTUSblog influencing the Supreme Court? TG [00:09:24:27] Sure. Well, we are actually able to study are readership. One of the more formal ways we do that is through reader surveys. But, we can track all of our in-bound readers, unless someone takes the highly unusual step of hiding where they’re coming from. And the Supreme Court doesn’t hide itself. It has the IP [Internet Protocol] address “Supreme Court of the United States” is the domain that’s associated with the IP address. And we were able to see hundreds and hundreds to thousands of hits coming in from them on any given day. And we know from our former students who are clerks, from just casual conversations with the Justices, that the Court is very conscious of the blog and a lot of people inside the building read the blog. ...That doesn’t mean they think particularly highly of the blog or anything like that. Certainly, I would never say that the blog has influenced anything the Court has done. But, you know, if you’re an important institution and there’s one Web site devoted to following everything that you do, it’s not surprising that you’re going to read it. And, I was concerned that the Justices and their law clerks would come to believe that we were writing effectively to them. So that, if we were….back in the day, for example, if we filed a Cert. Petition, then we would write on the blog, ‘We filed this really interesting Cert. Petition. It’s about this, that or that question. And, here’s the reason the Court might take the case.’ That was never intended for the Court as an audience. But, the Court doesn’t know that and could mis-understand it. And so it became very important to cut all that out because, if the Justices don’t trust you, then you’re not being an effective advocate. The other thing that happens is that because other people realize, or at least perceive, that the blog has an audience inside the building, people will try and use the blog to affect the Justices. So, constantly, we’re getting approached by people asking us to write about their cases, highlight their cases, cover cases in a particular way, as part of their agenda for influencing the Justices. And so, we’re incredibly resistant to that both because we think it’s improper and because we are just...we don’t want the Court to look at us in that way. A kind of prototypical illustration is, there was a case last Term on the merits as the Court, where there parties were trying to get...one of the parties was trying to get a set of documents in front of the Court and was trying to lodge the documents in the Court but was unsuccessful in doing that. And so they couldn’t get them in front of the Justices and their law clerks in the ordinary process. And we got heavily lobbied to publish a story about the documents. And, they were very interesting. And so it presented a really genuine, journalistic dilemma about what to do because it was apparent to me that a real part of their agenda was not because they wanted the documents published for the sake of publishing them and their interest but because they wanted a back door into the Court. And resolved that by not publishing them. But, it was a puzzle to work through. GWorks [00:09:17:27] What is SCOTUSblog’s biggest challenge in covering the Supreme Court? TG [00:09:24:27] Well, at this point, balancing our journalistic and lawyer roles is kind of the daily thing that concerns me the most. And that is, I really want the blog to be a journalistic entity. And the lawyer pieces of it is actually removing the relationship to the law firm and making sure that the blog can function purely journalistically as much as possible. The long-term dilemma and challenge that the blog faces is that the Supreme Court, though it uses the blog a lot, it refers a huge number of people to the blog, it relies very heavily on it, you know, it’s much easier for the law clerks to call up the briefs through the blog than, you know, going through the clerks office to get hard copies, the Court doesn’t recognize the blog as a journalistic institution and will not grant the blog a press pass. And so, we...at the same time, they’re not trying to stop us from overing the Court, it’s just a question of what you do with credentialing of blogs is something...the Court moves and changes very slowly, it hasn’t figured out exactly what it wants to do in this situation. It relies on the Senate Gallery and the White House credentialing process to make decisions. So, we are nonetheless saved for the moment by the fact that the Court still appreciates and respects and values the blog and so it has credentialed our reporter, Lyle Denniston, as a result of the work that he does for WBUR, which is the NPR affiliate in Boston. And he does interviews with them and helps them out. And so, that’s the balance the Court has done. It tries to give us access to press-related materials through our reporter Lyle Denniston. Now, Lyle is 82 [years old]. And so, at some point, he’s going to stop doing this, though he’s going, you know, 200 miles per hour and does incredible work. At some point, he’s going to decide he’s done with it. And what will happen to us then is the long-term dilemma of the blog. and the decision hand-downs, when they announce the rulings. what it would do to the proceedings. GOVERNINGWorks (GWorks) [00:00:38:04] Should the Court engage media more as media changes? Tom Goldstein (TG) [00:00:43:04] Well, the...interestingly, while the media as a whole is evolving considerably, all that’s really happening at the Supreme Court is that the media is imploding because the Supreme Court is a sufficiently specialized place that it’s very difficult for new media to get traction there because it requires a certain amount of expertise and experience that can be very expensive to develop, in terms of lawyering and time and that sort of thing. But, the level of coverage in the media is pulling back because there isn’t a corresponding increase in new media. There’s an increase in interest in the Court. But there aren’t other blogs emerging, other usenets. There’s not another body of people that is...it’s not just a question of being...serving as some sort of intermediary to the Court but just focused expertise on the Court, other than SCOTUSblog. And SCOTUSblog now has such a first-mover advantage. The amount of money that I have put into it and that I put into it now—it now costs about $400,000 a year to run—is just a little bit hard for other folks to put into it. Now, you can start a blog for nothing. And if somebody...and there have been other Supreme Court blogs that have…kind of started up. But, they quickly die because people have day jobs. They have other things that they need to do. And there isn’t an angle to make money at it. It’s just a kind of...it has to be a labor of love. And you have to find an appropriate sponsor. We’re very fortunate in our sponsorship from Bloomberg Law, which has a legal information service that it’s trying to highlight, so it’s a very nice fit for us. The Court’s own Web site, as you say, you know, is now out there. It occasionally has very significant glitches, for example, taking 30 minutes to publish the Opinion in the health care case is a significant thing. But, you know, they generally make the transcripts of the argument available very quickly after, which is a new thing. The oral argument audio is available the same week, which is a new thing. The opinions are almost always available almost instantaneously, which is a new thing. But, what you don’t have is then the ability to take that...the Court doesn’t make any effort, and understandably doesn’t take any effort, to take that raw set of materials and convert them into something that people can more easily consume...that, you know, I take the Opinion and take it into two pages and really explain what it is that’s happening. And then the Court kind of changes so slowly that it is a long way away still, I think, from anything like televising the proceedings or consistently releasing the audio of the oral arguments and the decision hand-downs immediately. GWorks [00:04:27:09] What about the Supreme Court & television in particular—televising the Court’s proceedings? TG [00:04:32:09] I’m a big proponent of televising of the arguments and the decision hand-downs, when they announce the rulings. I think that the Court has legitimate concerns about what it would do to the proceedings. I don’t think it would change things a lot. I do think it would reduce the anonymity of those of them who want to remain more anonymous. Some of them are out doing book tours and so, they’re not trying to remain anonymous. But, on the whole, I just think that’s too bad. You...even if every public seat were occupied by only one distinct person for every argument during the Term, 10,000 people at most could come see the Supreme Court every year, assuming that they could afford to do it. And it’s really expensive to travel to Washington, DC. And so, it’s incredibly hard for Americans, you know, the three hundred million people or so in the country, to be able to see their Supreme Court in operation. And, I think it’s their right to see it. And the Justices believe that their work product speaks for itself. And that’s true. But, there are other parts of the process that are public. And, if the Court is going to have a public hearing and a public decision time, I don’t think that, given the evolution of technology, it’s fair to say that only those people who can manage to be in the courtroom get to see it. So, I think, eventually, that view will win out. But it’s...the Court really treasures the fact that it changes slowly, doesn’t overact to situations, and so we’re probably at least 20 solid years before the Court does that. GWorks [00:06:13:07] Is there an institutional—democratic and even Constitutional—argument that the Supreme Court ought to be more accessible? TG [00:06:18:07] Well, I think you have to distinguish Constitutional principles from Constitutional rights. If you were to say, ‘Is there a First Amendment right of either Americans to see by television or the media to publish by video the proceedings of the Supreme Court?”, I think the answer is clearly, ‘No.’ That’s not a proceeding...the First Amendment requires that the proceedings be open but not that they be electronically distributed. On the other hand, if you say, ‘Alright. Let’s not make a federal case out of everything. Let’s just talk about what’s most consistent with the Constitution and the things that we value very highly, I do think the First Amendment points in the direction of saying, ‘This is something that the Court ought to do.’ That letting people see the Judiciary, and the highest court in particular, in operation and what it’s doing and how it’s behaving, in a very important part of the process, when you’ve already decided it should be public—it obviously doesn’t extend to the private deliberations of the Justices—but the Court is a public place that the better view is that the Constitution...it’s more consistent with the Constitution to publicize the proceedings. Now, there’s the separate question of whether the Constitution permits Congress to pass a law requiring the Supreme Court to televise its proceedings. This is a difficult and unresolved question. My view, and I’ve testified about this, is that the Constitution does permit it. It’s like...the Congress passes the law about when the Supreme Court’s Term starts and stops. And, Congress can set the number of Justices. It actually can be more involved in the operation of the Court than people realize. But, I just think it would be much better, if Congress didn’t pass the law just because it’s better for one Branch to intrude on the operations of the other. But, a couple more cases like the health care case and continued resistance from the Supreme Court and it could well come to a head. GWorks [00:08:33:29] What is a citizen’s obligation to understand the Supreme Court? TG [00:08:38:29] Well, I think that the Court does have an expectation that the citizenry will, in a kind of civic sense, really make an effort to understand what it is that the Court is doing. And that’s increasingly important in an era of, you know, cable news kind of spinning what it is that the...and the political parties spinning what the Court is doing as itself partisan. The Court is in a very difficult spot because it doesn’t have, unlike the White House and candidates and that sort of thing, it doesn’t have an active press effort. And there are very few people who are invested in the idea of just protecting the Court as an institution because the Court’s inevitably going to disappoint almost everybody. It’s going to do things that anger almost everyone. And, at that point, people are going to want to criticize. And so the difficulty is that, when the Court does something with which you agree, that’s only because the Court, ‘Got it right.’ And when the Court doesn’t something with which you disagree, then that’s because they’re a bunch of hacks—not that you are wrong. And so, the Court’s kind of public reputation is a bit of a one-way ratchet in the wrong direction. And in an era in which media participate in tearing institutions down rather than building them up, the Court has...is very exposed. Now, it is wrong for the Court to believe, to the extent it does, that this could be resolved by people just reading the Opinions more closely and not believing the spin because, you know, when you’re a Justice of the Supreme Court, it may be possible to lose sight of the fact of how technical these questions are and the level of rhetoric that’s involved. I mean, the health care opinion is almost 200 pages long, right? And the idea that an ordinary American, though it affects them tremendously, will actually go and read and understand it, is inaccurate. And so, having a good set of intermediaries, who can help with that process, who can make the Supreme Court more accessible, who are devoted to defending the institution, even when if you don’t agree with a particular decision, I think is important and is one of the principle roles that the blog plays. And that is, the Court does lots of things that I don’t agree with. But, we still have...just to give you an example, I was...I Second Chaired Bush versus Gore for Al Gore...but we have a basic faith in the place and view ourselves as kind of specially capable of helping people understand what the Court has done and make their judgments, not let us tell them what they should think about the Court’s decisions. And, you know, this is...I nonetheless think that the...if the Court were to televise its proceedings, faith in the Court would go up not down because there’s this constant barrage of claims that the Court is, you know, a bunch of Democratic appointees going to the left and Republican appointees going to the right. And if the public...we’re a very visual culture. I don’t know if this piece will be interesting to people, what I have to say. But to the extent it does, is, it is more interesting to watch it than to read it, even though the information being conveyed is just a set of words—not me juggling. And for people to be able to watch the Court’s arguments, which lots of times are snooze fests, but to appreciate the seriousness with which all of them take the job, the balance that they each try and bring, the hard time that they give to everybody, would I think combat the kind of partisan, media-driven impression that the Justices are not taking their job in a...you know, coming at it in a truly judicial capacity. For the moment, the Commerce Clause decision really is a one-off. of a larger body of decisions over the past five years. GOVERNINGWorks (GWorks) [00:00:38:04] What did the Supreme Court decide in the last Term’s health care case (NFIB v. Sebelius)? Tom Goldstein (TG) [00:00:43:04] There are two principle pieces to the NFIB v. Sebelius decision: One is about the ‘Individual Mandate’; and one is about the expansion of Medicaid. And on the Individual Mandate, which is the requirement that, by 2014, most Americans have health insurance, the Supreme Court upheld that provision—even though the provision was always kind of misunderstood. And what the Supreme Court said is that structure, which is essentially a tax for failing to do something, is Constitutional. They said that 5-to-4, with the four members of the Court’s Left joined by Chief Justice [John G.] Roberts, [Jr.], who wrote the Opinion. The Court by another 5-to-4 majority, Chief Justice Roberts and the Court’s more conservative members, held that the individual mandate couldn’t be sustained as a regulation of “interstate Commerce,” which is Congress’s principle regulatory authority...power under the Constitution. They concluded that the Constitution, when it allows Congress to regulate commerce, doesn’t allow Congress to require the creation of commerce. And that was what would be required by an individual mandate. And that is, you would be required to buy health insurance. They weren’t regulating the health insurance you were purchasing. But, the bottom line was that this structure of ‘buy health insurance or pay a tax’ was upheld. So, that’s the first piece of the Supreme Court’s decision. GWorks [00:02:43:20] How is it constitutional for Congress to ‘create and regulate’ an activity with its [Article I, Section 8, paragraph 1] power to ‘lay and collect Taxes’ but not its [Article I, Section 8, paragraph 3] power to ‘regulate Commerce’? TG [00:02:52:20] There isn’t a big practical difference that comes from the fact the Court upheld the Individual Mandate provision under the Taxing Power and refused to uphold it under the Commerce Power. It seems odd that, you know, it would not be authorized under one provision of the Constitution but it would be under another. The reason is that the Supreme Court wasn’t looking at this as a question of ‘did it violate individual rights.’ So, we have a Fourth Amendment that protects against ‘unreasonable searches and seizures,’ for example. And no matter what power Congress might use to enact a law, whether under the Commerce Power or Taxing Power, if it violates individual rights, then it’s invalid. What was going on here was that the government was looking for some basis to justify the adoption of the law. And so, the Supreme Court looked at one basis, the principal one that was offered, the Commerce Clause, and said that doesn’t work. You can’t create commerce under that Constitutional power of Congress’s. And it’s kind of an argument that only lawyers could love and that is that this one box doesn’t work. But, the lawyers found another box under which it could be sustained. So, the upshot is that the Individual Mandate survives. Now, there is one practical consequence to rejecting one theory of the Commerce Clause and accepting another, the Taxing Power, and that it really focuses people for the first time on this fact that you can refuse to buy the health insurance. And, particularly in the early years, the tax is not very much. It’s only, you know, $60 for most people right out of the box, I think. And then it focuses people on another provision that says that, if you refuse even to pay the tax, you can’t go to jail for tax evasion. The IRS can garnish a tax rebate of yours; they can make harassing phone calls. But, the government’s ability to enforce the tax is actually very limited. And so, it is possible that there will be people, you know, supporters of the Tea Party, for example, who will, as a matter of principle, just refuse to pay the tax—excuse me, will refuse to buy the health insurance and may even refuse to pay the tax. So, there’s also the second part of the case, which is really not one that people expected there to be much action in and that it turns out there was. And the Supreme Court, really for the first time, and it did this in the Sebelius case by a 7-to-2 majority, said that’s too much extortion to try and make the states change their Medicaid eligibility that much under the threat of losing all of their Medicaid money. And so this has to be interpreted as essentially an option, that the states have the ability to make a decision about this pool of money without endangering all of the money. And what that means is probably not a huge amount. There may be some states, like Texas, that have very conservative governors, that may decide to turn down the new money as a matter of principle and not expand their Medicaid rolls. But almost every state...they’re just not going to turn down billions of dollars to provide health care to their citizenry. So, there are going to be some states, perhaps, that will not take the new Medicaid funding. The big impact of that decision is probably going to be felt in other areas of the law because Congress does this all the time. It pulls back on the purse strings. It offers you...it...money but it makes it contingent on doing all kinds of things. The classic example really is highway funding: ‘If you don’t make your drinking age this; if you don’t make your maximum speed limit that.’ There are numerous provisions in the US code where Congress threatens the states with yanking money out from underneath them, if they don’t comply with Congressional directives. And you can probably expect to see a lot more lawsuits about that. GWorks [00:07:48:00] What do make of the concern about how Chief Justice Roberts voted in the health care case? TG [00:07:53:00] So, there have been all kinds of rumors and allegations and supposed leaks from the Court about what happened in the voting in the health care case, focused almost entirely on the idea that the Chief Justice had voted to invalidate the mandate and changed his mind. And the claim that he did so out of fear for the Court’s reputation. At the threshold, you have to be incredibly doubtful about the accuracy of this. These are all completely unsourced things from people who have agendas, who are trying to spin things in their own favor and when the Court again is just not in a position to respond because it never comments on things like this. If you were ask me kind of what I bet happened here, is I expect you can tell a little bit from the Opinion assignments. And so, we know that the Chief Justice almost certainly had the majority from the very beginning. And, my guess is that he, coming out of the box, out of the Oral Argument, was confident that he didn’t think the statute could be upheld under the Commerce Clause. He was confident in the Medicaid ruling. And he was struggling with what to do about the taxing authority. And that both the Left and the Right thought that they had a very good chance of him coming down on their side. And he eventually resolved that in favor of upholding the statute in the course of the writing process. And that conservatives inside the Court were apoplectic about that. And they have spun it as the Chief not doing that in a kind of judicial capacity but in a political capacity of trying to protect the Court’s reputation. Now that doesn’t really make a lot of sense in the...in the sense that it’s not...the Affordable Care Act wasn’t the world’s most popular statute. It wasn’t that Americans were clamoring for it to be upheld. And so it seems very unlikely...I think that the Chief is certainly aware of the consequence of the decision in terms of it...it I think builds the Court’s reputation as a non-partisan institution. But, I don’t think that that would have driven his decision. I think he’s an incredible serious guy, has that reputation. And I think that it really...the whole set of rumors really reflects very poorly on those who have participated in the leaks and, you know...wouldn’t be surprising if they diminished themselves in his eyes and the eyes of others because it is so irresponsible and it’s kind of a wild accusation. It seems like that the leaking of that claim started a couple of months before the decision itself where someone or some people were trying to put word out that the Chief was wobbly and that he might uphold it for reasons of the Court’s reputation. And so that there was a, at least by one person, a real concerted effort to kind of pressure him internally and externally, which is very, very unfortunate and unseemly. I do think that...it’s conservatives who are upset, some subset of conservatives who are upset with the Chief for the moment. But, that’s going to pass, I think, very quickly. He is a very solidly conservative Justice, if you just look at the pattern of his votes in the time there . And he will...nothing is fundamentally different about that. And, kind of, folks on the Left, liberals who are excited are about his decision are going to fall out of love with him just as quickly as they’ve fallen in love with him because he is who he is. And, I think that, you know, one consequence of this, hopefully, was that there will be less leaking. But, conceivably, a consequence of it will be that there’s more because this happened, no one seems to have been burned by it and, you know, a new culture could emerge of trying to influence the Court from, you know, leaks from within which I think would be very unfortunate. GWorks [00:12:36:13] Does the health care decision a signal of a shift in the extent of ‘the Legislative Powers’? And so you could...Marbury v. Madison is a very similar situation where, by kind of using...varying one power and disclaiming another, actually the Court produced a very particular outcome, a much more subtle, sophisticated way without seeming to claim a lot of power for itself, the Supreme Court ended up with Judicial Review. The difficulty with that reading of this decision, I think, is that the limitation on the Commerce Power that’s articulated in the decision is not really a very significant one. The whole point of the Plaintiff’s, the states, the National Federation of Independent Business is that Congress had never done this before. It had never ordered the creation of commerce. And there really isn’t any reason to expect that Congress was on the brink of doing that in other contexts. When the economy really cratered, they didn’t order people to buy cars. It was a very unusual provision. Now, if the Court’s Commerce Clause holding portends a rebirth in a line of cases that says ‘We’re serious about, for the first time in a century, paying attention to limits on the Commerce Power,’ if this is the first of many decisions, well then it will be very meaningful. When Chief Justice [William H.] Rehnquist passed away and [retired Associate Justice] Sandra Day O’Connor left the Court, the principal movers behind recognizing limits on federal power kind of left the Court. And we haven’t really seen previous indications that their replacements, in Chief Justice Roberts and and [Associate Justice] Sam Alito, really were going to re-work the law in this area and re-balance power between the states and the federal government in limiting the Commerce Clause. But, if that’s not true, if they’re now quite serious about that, then that will be the lasting legacy of this decision, together with the limitation on Congress’s spending power, the ability to yank back the Medicaid money and what that will mean in other contexts. and I don’t think will happen again for a while. GOVERNINGWorks (GWorks) [00:00:38:04] CNN and Fox wrongly reported that the Supreme Court had overturned the Affordable Care Act. Much discussion of the case concerned not its reasoning but its politics. Is this the Supreme Court coverage we should have? And, it’s a mistake that should not have happened and I don’t think will happen again for a while. It’s akin to what happened with the 2000 election, you know, who wins, switching back and forth. And it was an avoidable mistake. And most of the media did avoid the mistake. The first four wire services got it exactly right. And it was possible to get right, if you were just, you know, a little bit more patient than they were. GWorks [00:02:43:20] Was the mistake driven in part by the desire to view the decision in political terms? Well, there was...a couple of things happened in reporting this decision. There was an expectation that it was going to be struck down. And so that when someone said it’s been invalidated, that met with the expectation of the producers and the people in the control room. Second, the cable news networks were so tightly wound into their social media and Web properties, particularly CNN. And, they had kind of bunched up at the gate all of this reaction that they wanted to put out there because they came at it from a political angle rather than a question of health care being available because that was just more, kind of, the exciting take in the middle of a presidential campaign on it. And, they...the only thing they really did to pause to make sure they had it right, besides asking their people who had copies of the Opinion, you know, ‘Are you sure?’, was to look up and see each other reporting the same thing. And at that point, then they had all of this stuff that they wanted to say, in a really breathless kind of way, and oddly breathless. I mean, everybody knew the decision was going to come down at 10 o’clock that morning. The provision of the law wouldn’t take effect for two more years. And the election is not until November. And so, it’s kind of strange that everyone, that they would burst out of the starting gate in that way. But there was, you know...those things did conspire to produce a situation where CNN in particular has a little bit of a hard time walking it back over the course of those eight minutes. More broadly, in terms of the coverage of the decision, I’m perfectly comfortable with people kind of making of it what they will and...there’s a self-referential quality to the idea of ‘This has huge political implications’ because the more the media says ‘This has huge political implications’...that’s actually, in large part, what’s driving its being consequential politically. And that is, all the yammering about it has turned it from...the Individual Mandate is obviously originally a Republican idea and it has, through a bunch of political commentary, become viewed as anathema to individual liberty by conservative Republicans. But, nonetheless, it is what it is. And a very important part of the implications of the decisions were political. And that’s very accessible to people. Ordinary Americans are pretty used to thinking about those things...things like that in those terms. Whereas legal doctrine like the Commerce Clause and the Taxing Power kind of just flies over everybody’s head. And the implications for health care markets are relatively complicated. And so it doesn’t surprise me or trouble me that people would look at it that way. I actually like the fact that a lot more people pay attention to the Supreme Court for whatever reason because the Court is an under-appreciated institution—not under-valued, whether it’s good or bad, people just don’t watch it enough. GWorks [00:02:43:20] ‘Any press is good press’ applies to the Supreme Court? TG [00:02:52:20] Yeah. I think so. I think the fact that more Americans engaged the Supreme Court is civically good because the Court is doing some good things and some bad things. And it’s a lasting legacy of every President—well, not every, but every President who does get to make the appointments. And, the public ought to be more aware of what effect the Judiciary has on them, for good or bad. You may love things the Supreme Court is doing. You may despise them. But, it’s very hard to make the argument that the Supreme Court is inconsequential. GWorks [00:02:43:20] There is excellent, subtle, searching coverage of the Supreme Court: Linda Greenhouse reading the Chief Justice’s institutional concerns in Florence v. US in relation to deciding the health care case, for example. Why not more of this kind of coverage? TG [00:02:52:20] Well, part of the difficulty is that main stream media is really driving for eye balls and attention more than it’s driving exclusively for substance and accuracy and balance in things that can sometimes be very boring. So, one of the things that you have is that the institutional concerns that seem to in part drive the health care decision—so, putting entirely to the side the idea that the Chief Justice was concerned about the reputation of the institution, which is difficult to figure out, given the uncertain popularity of the law, but the idea of institutional competence and responsibility, the Chief Justice says, ‘Look. Our job is not to strike down the law every time we can find an excuse to do it. It’s to find a way to uphold the law, if there is a way of doing it under the Constitution. That’s our job. We’re the last resort not the first resort.’ That gets spun a lot as, by people who don’t like the decision, as being a cop out in the same way that a lot of more conservative decisions get attacked by the liberals as being driven by partisan interests of another kind. You don’t see, however, from the current Supreme Court, a vision of that that extends across bodies of law. Sometimes they are super confident and very willing to intervene. And other times they seem more willing to take a back seat. And I would be hard pressed to draw a straight line between those points. People are worried about feeding their families and about jobs. And that’s immediate and incredibly consequential. And I just don’t see the Supreme Court breaking through that. GOVERINGWorks (GWorks) [00:00:38:04] The idea that the Supreme Court may limit Federal Power arose last Term–for example, in the health care case, the Jones case [United States v. Jones, 565 U.S. ___ slip op. (2012)] about GPS surveillance. Do you read the Court as imposing limits and inclined to impose limits? Tom Goldstein (TG) [00:00:50:04] No. I think that the...if anything, the Court is pulling back on the limits that it’s imposing—not because of a sense of lessened institutional competence. But we’re still in the midst of a counter-revolution from the Warren Court era. And so while it’s true that in the Jones case [United States v. Jones, 565 U.S. ___ slip op. (2012)] about GPS [Global-Positioning-System] you see an articulation of possible limits on the use of technology, if one were to track the arc of Fourth Amendment law, and the scope of Reasonable Expectation of Privacy, defendants are losing those cases much more than they’re winning them. They’re winning some car stop cases, Arizona v. Gant. But, in the main, the direction is in terms of giving the police greater flexibility to conduct searches and seizures not lessened authority. And that’s true across an array of rights that the more liberal Warren Court recognized that are being undone. Abortion is an example. Separation of Church|State is an example. You are seeing a resurgence of limits generally in terms of what might be called ‘Conservative Civil Liberties’: the Second Amendment right to bear arms; conceivably the Takings Clause; religious liberties; and limits...some limitations on Congressional power. So, I just think that, with some exceptions, like the GPS case, by and large, the kinds of assertions of rights that the Court is recognizing and accepting are just of a different kind of right and it’s peeling back and over-ruling and limiting decisions that had recognized other rights. I don’t think there is a broader flexing of muscle going on. In campaign finance that’s true because the Court really believes that’s a core part of First Amendment expression. It’s not because, across the board, the Court feels more empowered. GWorks [00:03:06:12] Do you see the Supreme Court playing a role in the Presidential election? TG [00:03:11:12] I think for this Presidential election, like most in the past, at least since the Nixon years, the Court isn’t going to be very important to the broader electorate. The economy just eats up all the oxygen in the room. It matters as a motivator, get-out-the-vote point for each party’s base. The idea that we need a more conservative Supreme Court, that we probably have the most conservative Supreme Court in American history for Tea Part supporters is a palpable, important thing that would cause them to feel, among other things, that it’s critical to get out and vote for Mitt Romney. The idea that, you know, we are a vote away from Roe v. Wade being over-ruled or interred into meaninglessness for the Left is a very significant thing—for people who are already focused on the Court and think of it as an issue. In terms of changing people’s minds about who they will vote for, it should be a real issue. But there’s just only so much attention that the electorate can and will pay. And people are worried about feeding their families and about jobs. And that’s immediate and incredibly consequential. And I just don’t see the Supreme Court breaking through that. If this were the 2008 election, rather than the 2012 election, it would probably be very similar because we were starting the...into the, you know, the real depths, depths, depths of the financial crisis. 2004, 2016: The coincidence of health care, which is the case that has generated the longest sustained interest in the Supreme Court in 80 years...it really could...it could’ve been an issue. But, this is an election where I think there’s just...it’s not going to be possible to get people to think about much other than the economy unless they are already committed to one side of the other. GWorks [00:05:33:25] This is an election year. The Court faces important questions next Term. What is your prescription for better understanding of the Court? TG [00:05:40:25] Well, doing things in a way...the media...doing things like this that are interesting, hopefully, and engaging and are serious and longer form. Justice [Sandra Day] O’Connor has really been the person who’s been very focused on the broader project of civic education and returning to that as a real value. Adapting to the public, to some extent, in the shorter periods of time that it’s willing to give to any issue and trying to make coverage of the Court interesting but yet substantive. Trying to make people understand the lasting significance of the Presidential election and the appointments, the way that the law really does evolve. A lot of people, I think, think the Constitution is this thing and not only should it be read the same way all the time through history but that that’s actually how it has worked. But, in fact, the phrases, ‘unreasonable search and seizure,’ ‘Due Process,’ you know the notion of freedom of religion and expression, have meant a lot of different things over a long time. And so, the Supreme Court’s ability to change the law and the basic framework for governance is tremendous. I really regret that the amount of coverage of the Supreme Court is going down rather than at least holding steady or going up. And so, it’s also going to be a resource allocation question. One thing that fascinates me is, will the public’s interest in the Supreme Court in the wake of the Supreme Court be sustained? The...you know, we’re a month out from the decision as this is being interviewed and our level of readership, which was, you know, two million unique readers with six million visits on the health care decision has already returned to it’s pre-health care levels. Now, it’s the summer and the Supreme Court’s not doing anything. So it doesn’t...it’s not a surprise. But, people have already to some extent really moved on. And the next test will be when they hear the Affirmative Action case in October; when they hear gay marriage; when they hear the challenges to the Constitutionality of the Voting Rights Act, as they almost certainly will. Will Americans be back? Or will they just...you know, are they now engaged in the question of the Supreme Court? Is there a lasting legacy or not? After Bush v. Gore, 531 U.S. 98 (2000) there really wasn’t. But, you know, might health care be different? GWorks Interviews: Tom Goldstein was filmed Wednesday 25 July in the offices of Goldstein & Russell, PC in the District of Columbia. GWorks would like to thank Mr Goldstein for his generous participation and Max Mallory for his work to make this interview happen. Photo: Tom Goldstein. Courtesy Tom Goldstein. 1 Tom Goldstein is a founding partner of Goldstein & Russell, PC, a Washington, DC law firm that focuses on Supreme Court litigation. He is also Publisher of SCOTUSblog, the Web site he founded with Amy Howe, Mr Goldstein’s wife, law partner and SCOTUSblog Editor. GWorks Interviews is a series dedicated to exploring governance issues of interest with persons given to thinking about and having relevant experience. GWorks invites a GWorks Interviewee to respond in depth to questions. GWorks does not edit the substance of what an interviewee says. GWorks edits GWorks Interviews only for editorial and technical considerations including style, length and productions issues. For more, please visit GWorks Interviews.